Peterlee Pumas made a clean sweep of the North East League Yesterday, their new under 12s side funded by the charity Rugby League Cares took the Durham Tigers by Storm, Beating the hosts in the first Game 20 points to 12, Drawing the second game v Cramlington B 20 points all, then taking the Cramlington A team on and winning 36 8 finally against Consett 28 8. EJ Newell had an outstanding game making 20 to 30 meter runs every time he had the ball and breaking tackles all the way. Twins Ben and Lewis Simpson kept the team organised as the half backs put the ball wide at the right time and put some huge high bombs in attack which the opposition found difficult to deal with. All the players played really well and with new players joining each week the side is looking to be another strong Pumas junior Side. The Pumas 14s, again another new side for Peterlee took on Winlaton Warriors at home in the first League game of late starting North East League, winning 42 16, the Pumas put in a really good display and again with more players set to join, looking to be another strong side. Due to lack of teams in the under 15s category the very successful Peterlee under 15s squad has merged with its under 16s who themselves are a very strong side and showed it by dismantling Gateshead Storm away. The Gateshead pitch was terrible and didn’t provide a good playing surface for the fast paced expansive Pumas side but Peterlee posted 32 points to the well drilled home side’s 8 to get their league season off to a great start against one of the leagues “contenders”. 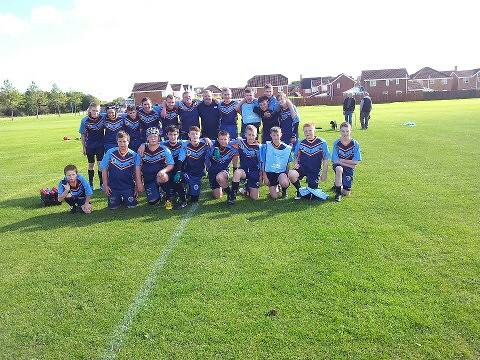 Pumas under 12s took on Cramlington in a pre-season training game yesterday in their brand new kit supplied by the Rugby League Charity Rugby League Cares. 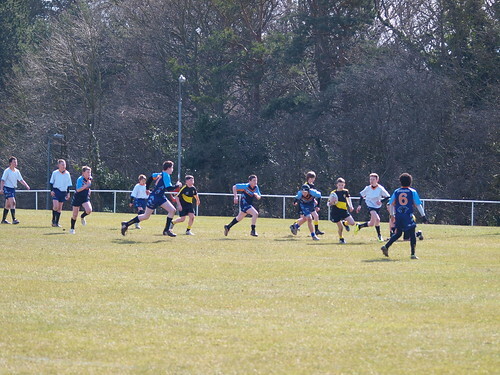 The grant is to carry out the development of their new under 12s team and the pumas whilst having to play a little short yesterday because of the bank holiday have very quickly got a lot of players registered and eager to play. The game was played in the right spirit and Peterlee took a good early lead with their strong running strike runners putting in some good tries from half way to take a 3 try lead but at 18 0 down cramlington came back either side of half time to tie the scores up with 10 minutes to go. ALL JUNIORS PLEASE TAKE NOTE. I apologise for the delay in announcing fixtures, we have been chasing on this but i would appear that there has been a misunderstanding between the league and clubs, certainly what this club needs and desires in order to function at the high levels we have maintained season after season. We are now organising 9 aside festivals over the next couple of weesk and then into April in order to get you as many games as possible, at the minute we are looking at 13s and 15s and littlies on the 15th and 14s, 14s, 16s, on the 22nd, then we will look to see if other clubs will offer up, if not we will look to do the same in April. The league will then start in May. Peterlee Pumas run juniors in all the NE Junior Leagues and have managed to get all thier comprehensive age teams in the North East Grand finals at 12, 13, 14 and 15. 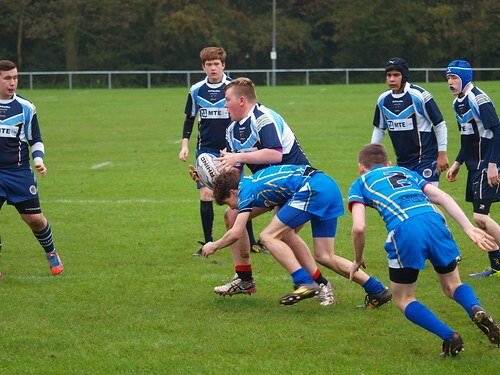 The first games kicked off last saturday with under 12s and under 14s. Both Pumas sides showed great heart and determination and displayed a massive improvement from the beginning of the season where the 12s and 14s and suffered heavy defeats to wallsend and gateshead storm respectively but they showed good evidence of catching right back up again in the finals which were hosted at Helford Road. The 12s lost 20 12 to wallsend, too many mistakes lead to the ball being turned over early in the tackle count in a bad tempered affair, the young Pumas with many of the team playng up a year tackled their hearts out but fatigue finally took its tole. The 14s showing a really dramtic improvement having changed coaching teams half a couple of months ago started the final very strong camped on the storm line for long periods and finally getting just reward to take the lead. Leading for most of the 2nd half but Gateshead managed to nick to late trys near to half time. The second half was incredibly even and the game was set to go either way right up to the last 5 minutes but 3 late trys as the Pumas tired flatter the score line 24 4 to Gateshead. Work on carrying on the dramtic improvement of both sets of players plus recruiting more and getting sponsorship begins immediately and the Peterlee side are already taking on new players meanwhile the Pumas 13s get ready for thier final this weekend again at Helford Road and the 15s prepare for thier game on the 9th November.